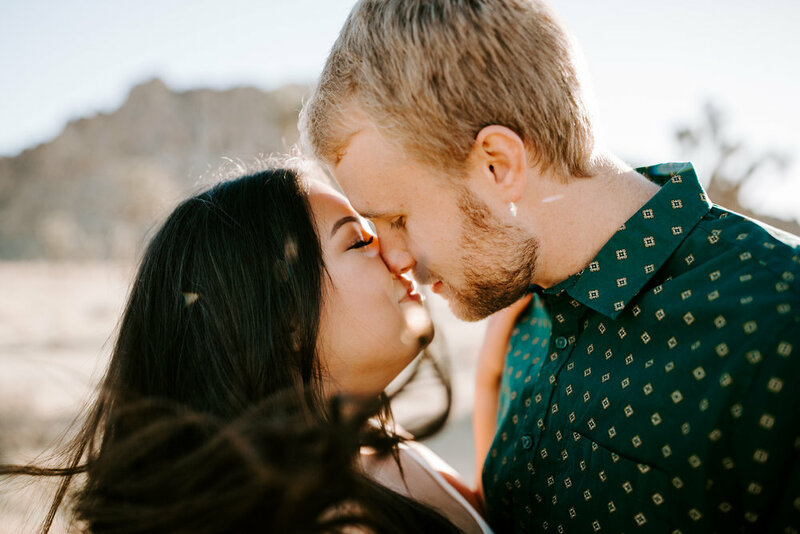 I was SO STOKED when Michelle & Jonathon wanted me to shoot their wedding, and we had planned to do their engagements a few months ago in August at the Iowa State Fair. 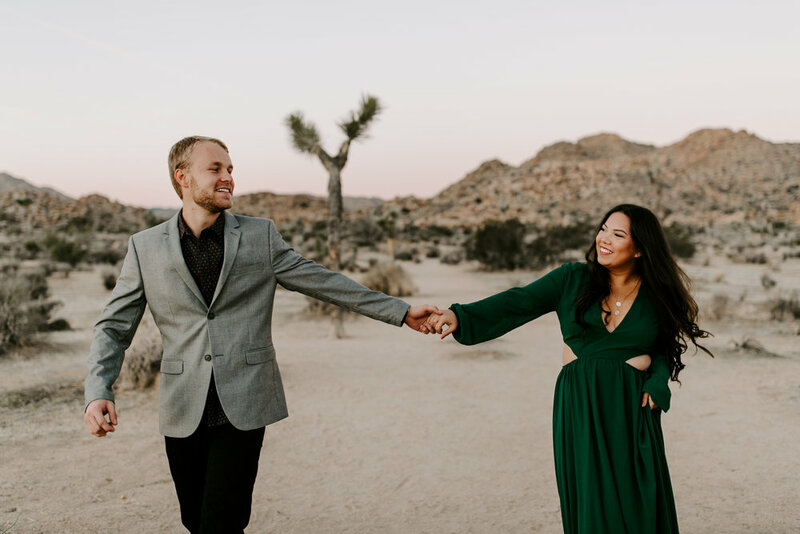 One day when I was scrolling through Instagram, I saw that Michelle had posted that she wished she could do an epic shoot in Yosemite for her engagements. 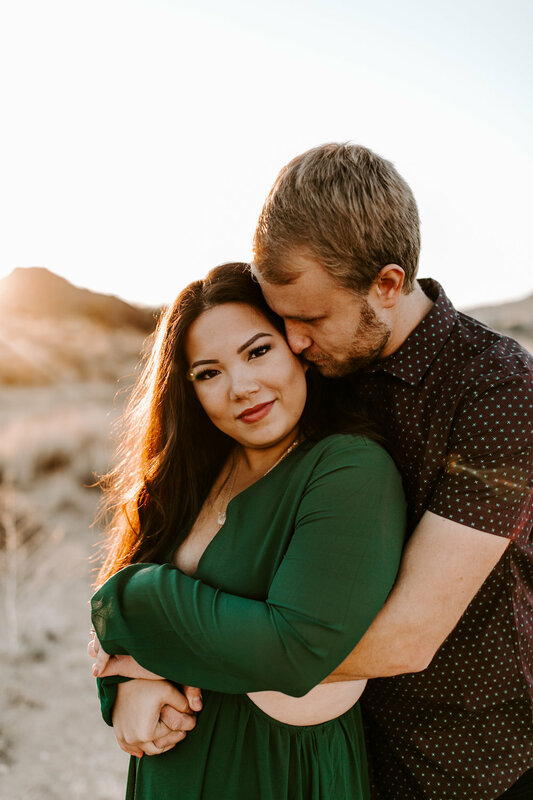 I immediately stopped my scroll and messaged her and said “HEY GIRL HEY LET’S DO SOMETHING EPIC.” And so, we did. 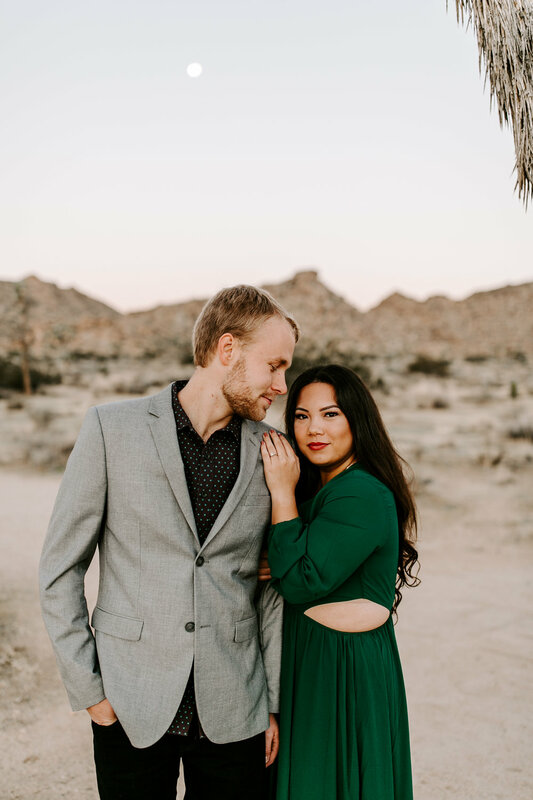 I told her I would be in Southern California in October, and threw out some locations for them to think over to see if they wanted to hop on a plane and meet me there. 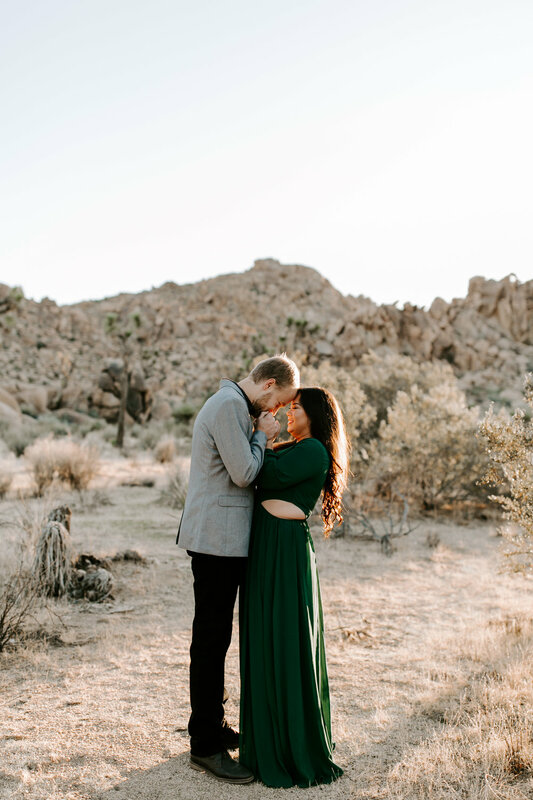 Michelle JUMPED on the idea of Joshua Tree (dream location) and we started planning! 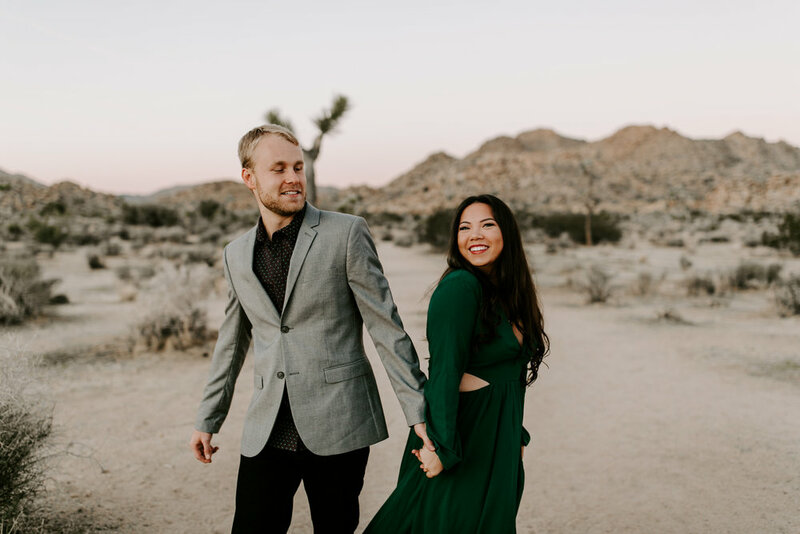 I have been DYING to shoot in Joshua Tree for a couple years now, and I was so stinkin’ excited that one of the cutest couples ever wanted to do their engagements out there with me! 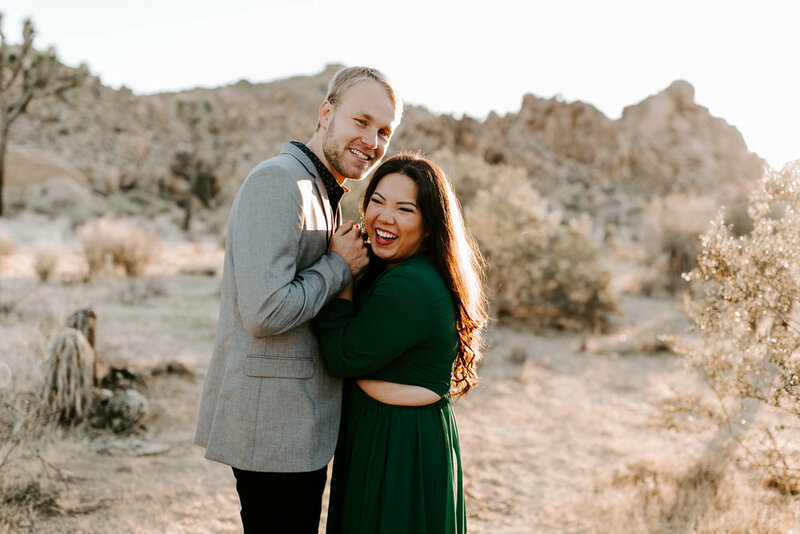 I picked these two up at their Airbnb and we drove out into the desert when the sun was just starting to peek up above the horizon line. 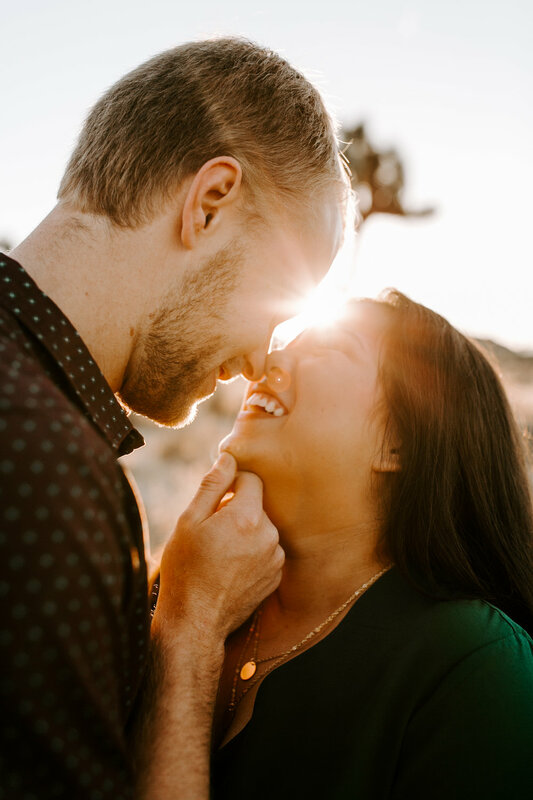 We chose a sunrise session because of the soft, glorious glow that the sun would give the landscape and fill my frame with hues of pinks and light smokey blues until it turned into a warm glittery glow from the most perfect California sun. And believe me, it did not disappoint. 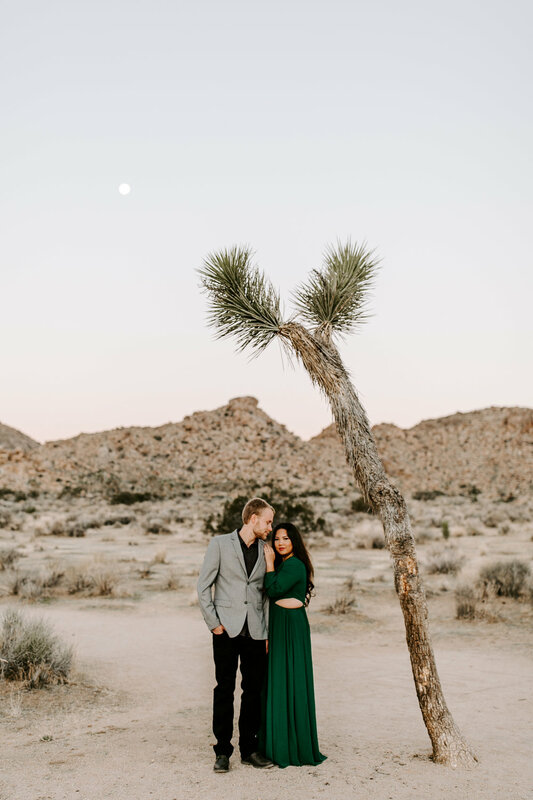 Joshua Tree is one of those magical locations where the rest of the world seems a little bit father away and there were moments where it was just us three frolicking in the desert making magic! 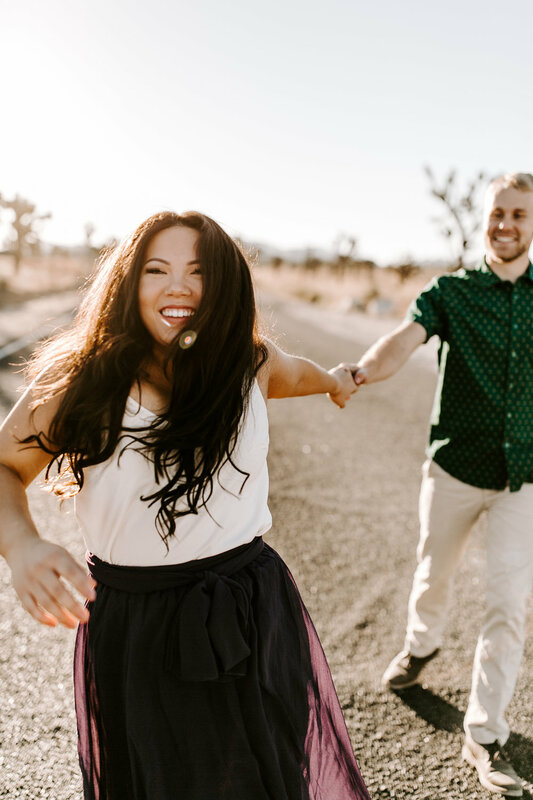 Once the sun was too high, we headed back to their Airbnb and stuffed our faces with Voodoo Doughnuts and they even took some to eat in bed! Who doesn’t love eating the best donuts ever while you’re laying in bed?! 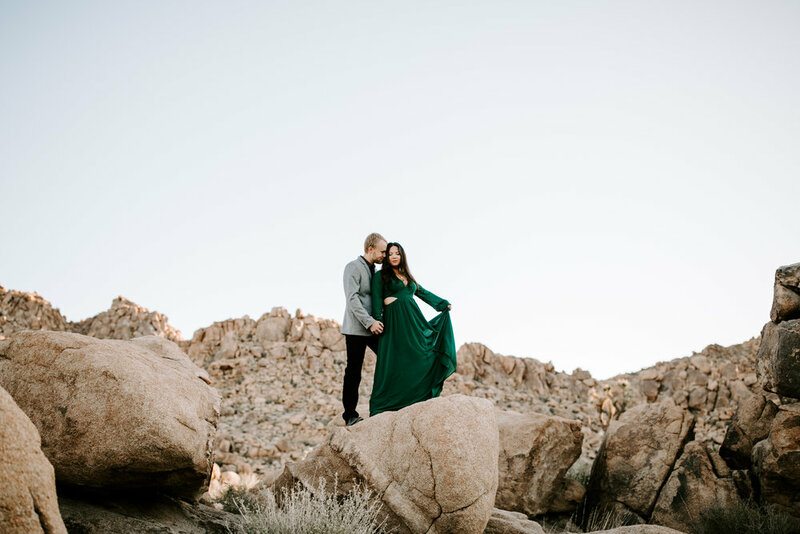 Okay, enough chatting, go check out this epic adventure engagement session in Joshua Tree, California!